Graham Ambrose is in Jonathan Edwards College studying History with particular interests in religion, culture, and community in the American Midwest. When not cheering on the Chicago Cubs, he writes speeches for New Haven Mayor Toni Harp and articles for The Washington Post. Graham is also an avid music hound, with tastes ranging from folk of the 1960s to vaporwave of the 2010s. Sydney Daniels is majoring in Political Science. She is interested in the politics of inequality, more specifically welfare policy and the criminal justice system reform. Sydney explores these fields in part through her current position as the Alumni Outreach Coordinator for Yale Students for Prison Divestment where she negotiates closely with the Advisory Committee on Investor Responsibility to urge the Yale Corporation to divest from the private prison industry. 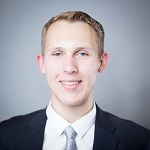 Patrick Demkowicz is a biomedical engineer in the Class of 2018 who hails from Farmington, Connecticut. As an ISPS Director’s Fellow, he is interested in studying and creating health care policy. 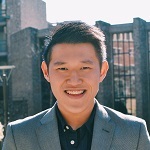 While working in the biotechnology industry last summer, he developed an interest in understanding how public policy can support the development of innovative and affordable medical technologies. Josh Hochman is majoring in History, with interests in diplomacy, political rhetoric, and educational equity. He serves as President of the Yale College Democrats, which advocates for legislation pertaining to criminal justice, immigration, and the gender pay gap. 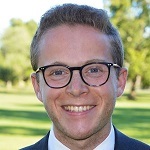 Josh is currently an editorial assistant and speechwriter for the Atlantic Council, and previously worked on recruitment for Teach for America. 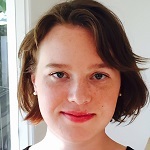 Elizabeth Karron is in Berkeley College studying History of Science, Medicine, and Public Health. She is especially interested in legal and ethical issues related to health policy and biomedical research. 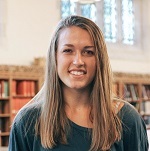 Last summer, she conducted archival research at the British Library on the Government of India’s response to cholera outbreaks in the 19th century. Elizabeth is a research assistant to a professor of history of science and medicine, and she teaches health education workshops in New Haven public schools. Ryan Liu studies Political Science. His interests include studying education policy, the intersection of policy and the legal system, and the commun-ication strategies used by political actors. He’s worked as a community organizer in Southern California, where he organized voter registration drives, town halls, and debate forums. He’s served as a Speech & Debate coach, founded an e-commerce business, and worked on Capitol Hill. Olivia Paschal is from Rogers, Arkansas majoring in History and Political Science with particular interests in religion, state-level policy, and Southern history and culture. 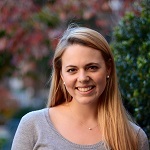 She is a managing editor for The Politic and works for the Yale University Art Gallery and Yale Athletics. Last summer in Little Rock, she worked on community organizing, legal initiatives, and policy recommendations concerning mass incarceration in the state - some of which appeared before the Arkansas General Assembly as proposed legislation this session. Alexander Posner is a History major in Morse College and a member of the Class of 2018. He is passionate about climate policy and has worked with the Science Communication with Impact Network (SCWIN) at the Yale School of Forestry and Environmental Studies and with the Climate Leadership Council in Washington DC. 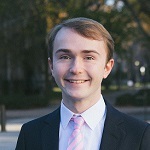 In addition, Alex is a debate coach at the Metropolitan High School in New Haven, and a former editor for The Globalist and The Politic, two undergraduate journals. Stella Shannon is in Berkeley College majoring in Global Affairs. At Yale, Stella translates for asylum seekers at the Yale Law School, is the co-founder and co-president of Students of Salaam, a refugee education and community engagement organization based in New Haven, a project leader for the Prison Education Initiative through the Yale Policy Lab and a research assistant in the Department of Economics and at Yale SOM. Sarah Siegel is in Trumbull College. She is a double major in History and in Molecular, Cellular, and Developmental Biology. Among her many interests, Sarah is currently focusing on criminal justice policy and law. In the summer of 2016, Sarah was a policy intern for Rhode Island Governor Gina Raimondo. During the academic year, Sarah runs VITA (a volunteer tax preparation service), works with the Women in Government Program, and plays trombone and euphonium in numerous musical events. Riley Tillitt is studying Ethics, Politics, & Economics with a particular interest in drug policy and criminal justice reform. He is currently Treasurer for Yale’s Students for Sensible Drug Policy and working on Connecticut’s legislation to legalize marijuana. 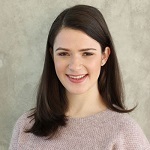 Beyond drug policy, Riley is a Director-General for Yale Model United Nations China and a member of Dwight Hall’s Socially Responsible Investment Fund. Elena Vázquez is in Davenport College majoring in Ethics, Politics, and Economics with a focus on criminal justice and urban inequality. 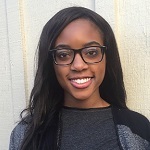 Last summer, she served as an investigative intern at the Georgetown Law Criminal Defense and Prisoner Advocacy Clinic where she assisted attorneys in their representation of indigent clients in criminal cases in Washington, DC. On campus, she serves as the Executive Editor of the Yale Review of International Studies, the Vice Chair of the Yale Chapter of the American Civil Liberties Union, and an intern at the Office of the Federal Defender.